In this day and age, an increase in a newer model is hardly ever a surprise but considering that sales of the 2014 Chevrolet Silverado and GMC Sierra cumulatively dropped by 8% in September a price hike so soon in the life cycle of the newest generation General Motors pickups seems a bit odd. When you look at the fact that the 2014 Chevrolet base starts at $25,575 while the 2014 Ram 1500 starts at $23,600 and the 2014 Ford F150 starts at $24,050, you would think that GM would be making pricing moves to help give these redesigned trucks some advantage over the competitors rather than increasing the pricing gap between the new Silverado and its competitors. Making this whole bit of GM pricing news more unusual is the fact that the 2014 Chevrolet Silverado and 2014 GMC Sierra pickups combined in September to move around 46,000 units while the Ford F Series sent out closer to 61,000 new trucks. You would have to think that a pricing increase for the new Silverado and Sierra won’t help much in trying to cut down on that 15k-ish differential in monthly sales. 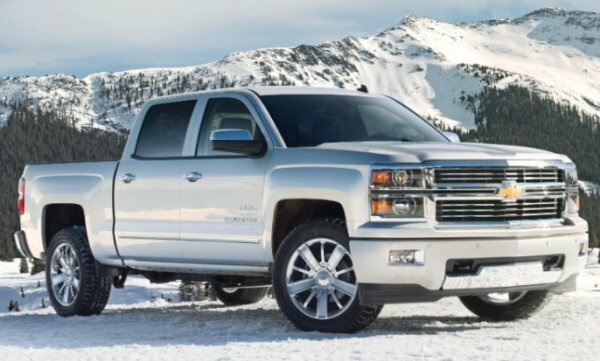 One key factor that should be considered when questioning the $1,500 price hike for the 2014 Chevrolet Silverado and GMC Sierra is the production constraint issue that we reported recently. The new Silverado and Sierra saw a great deal of success when they were released and a great many of those prospective buyers were ordering the 5.3L V8. Unfortunately, one of the companies that supplies components for the 5.3L V8 is unable to keep up with the demand and that has caused a shortage of these V8 engines. Because of that shortage, General Motors has been forced to limit the number of V8 powered 2014 Silverado and Sierra pickups that could be ordered by dealerships and if that is the real cause of last month’s 8% decline in GM trucks sales, the pricing increase may not have real impact on sales. In fact, if the engine production problem is solved, the company could still see an increase in sales over the next few months even with the price jump. GM claims that the decision to raise the prices of the 2014 Chevrolet Silverado and GMC Sierra was preplanned and it has nothing to do with any current factors. Provided that sales weren’t down from the year before and that the competition wasn’t crushing them in monthly sales, I wouldn’t see any problem with your average new model year price increase but with those problems mentioned above – it comes as a shock to me that the company didn’t hold off with this planned increase to help slumping sales.